Many Sonata fans will be surprised about the chairs at Z7, and in all those 20 years I have been a guest here I haven’t ever seen anything like it before. No tackling in a crowd, and probably not so many drinks were sold as hardly anybody dares to stand up and leave the seat. Surely, such a Sonata Arcticas Acoustic Adventures Tour is a rather calm experience but those chairs at Z7 are no good idea, in my opinion. It was also hardly possible to make photos, therefore please forgive those few and not exactly brilliant snap shots. The support Witherfall from the USA impress with their singer Joseph Michael yet the songs don’t really leave a lasting impression. A pity because those guys are obviously skilled musicians and the material is quite good. But the do not interact with the audience which is so important for an acoustic show. 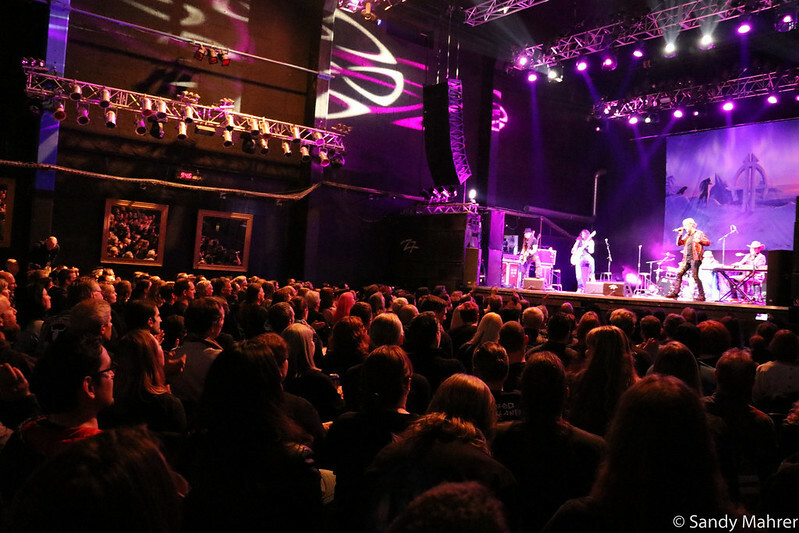 After a short break Sonata Arctica enter the stage and singer Tony Kakko gives his first speech, thanking the audience for coming and Z7 for hosting them for the 13th time. «Life» is the first song, followed by «Only the Broken Hearts». 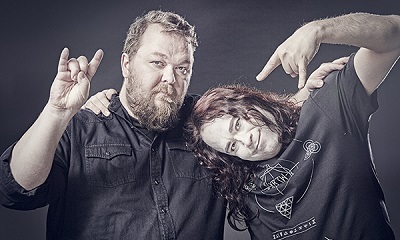 Although Tony is used to a seated audience because of his Raskasta Joulua participation – Metal-versions of X-mas-songs, a huge hit in Finland – it seems he has a hard time to stay still, just like his band mates. The audience is seated way too far away from the stage and therefore feels a bit lost in such a big hall. The other shows on this tour take place in theaters – just like the show in Finland, Espoo – in movie theaters or even churches which seems more appropriate. Kakko and his guys cannot sit still for very long, the singer gets up and invites the crowd to clap and sing along. You can see how difficult it is for some to remain seated and there are only a few spaces for fans who prefer to stand. The seated audience is merciless dissing anybody who might block their view, even me when I only quickly stand up for 1-2 photos. When the band arrives at the hit song «Full Moon», I bet that many do not want to be seated any more. And I miss some effort from Z7 stage hands – maybe a bit more variety in lighting or other stage effects? As this Sonata show feels way too calm for me, I decide to leave earlier. It seems at the end fans are allowed to stand up and freak out a bit. Still, please, Sonata, the 14th time at Z7 again with electric gear. Unfortunately I have to admit that I missed the good atmosphere for a Metal acoustic show, just like those I have watched in Finland, taking place in e.g. theaters for a seated audience and it really worked. Z7 should have added more space for people who prefer to stand and worked out better stage effects. 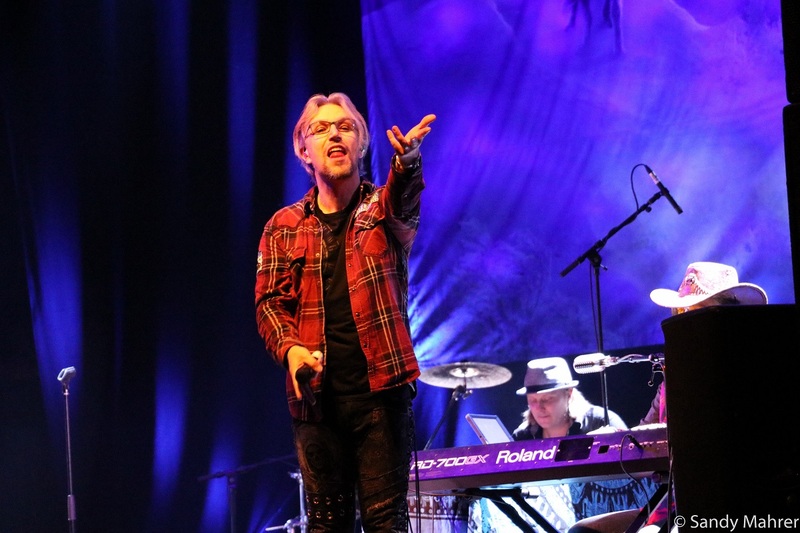 PS: But I can tell you that they arranged the song completely new for this tour and all the musicians, such as singer Tony Kakko, did an awesome job. It’s a special experience which is worth seeing – seating or not.